We often heard the Man versus Nature. But, this is not ordinary man. He against the physic of engineering feats of steels and concrete. He's the one and only HRH Sir Ibrahim "The Brassball" of Johore. 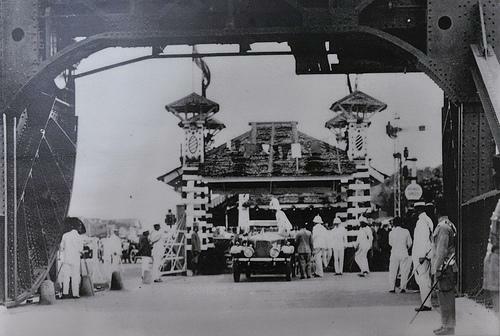 Anecdotal accounts reported that, during the construction of this steel bridge in 1909, HRH Ibrahim was invited to officiate the opening. He asked the British Engineer that the safety of the steel bridge structure, and the Engineer assure that the bridge is firms and secure. With left hand, HRH Ibrahim shakes the structure... the whole part of the Bridge trembled!!!! 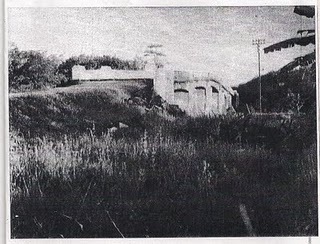 One could see even now, the base concrete on southern part of this Bridge have 2 layer of column to strenghten the bridge. This mark the unforgettable event of the King shaking the steel bridge with his barehand. 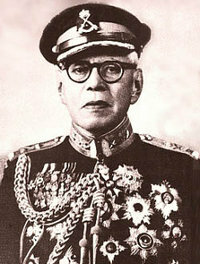 Similar occurance happened during the opening of Tambak Johore. A question then asked by HRH Ibrahim about the safety of british engineering to British Advisors who accompanied him for the Opening Ceremony. HRH Ibrahim later strucked his walking stick at the edge of the causeway - and the ballast stones which supporting the base of the causeway were fell apart!!! Unknown to us, the causeway were later closed for 2 days for repairing works! This occurance incidents of 2 places were interrelated. 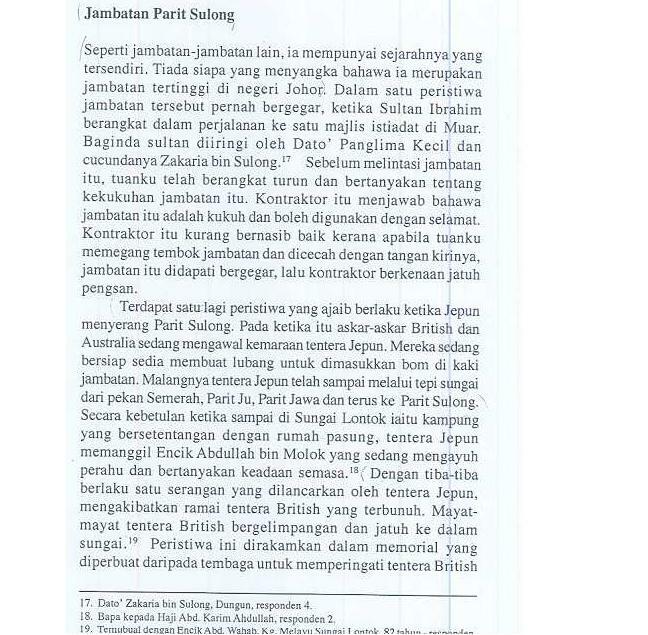 It is a signed capability of Malay King and his "Daulat" so British could learnt a lesson not to interfere internal affairs of Johore State. 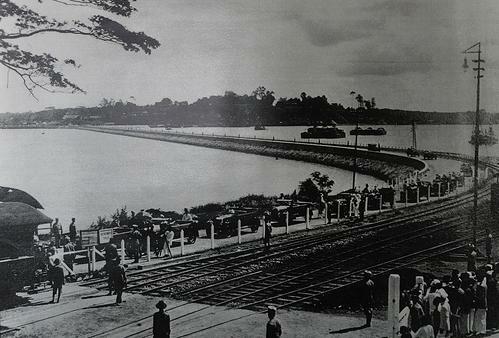 In 1909, Johore Government has to accept British plans for construction of railways, which runs thru the land of Johor. 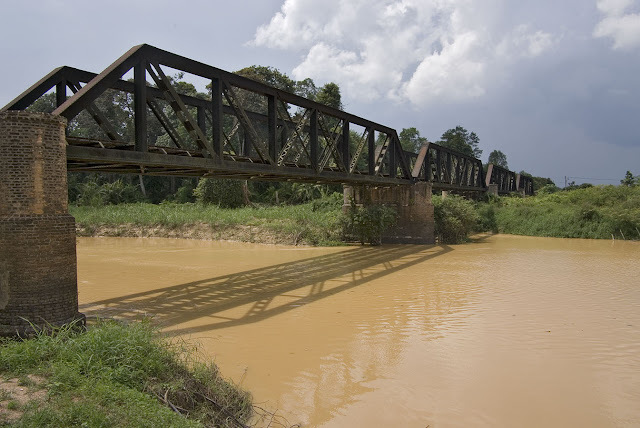 British Government gave a loan of $24 000,000.00 to Johore to construct a railways to Singapore, which includes the construction costs of Buloh Kasap Steel Bridge and Johore Causeway. British hopes that Johore unable to pay their debts - and accept the British Governors like the other Malay states. 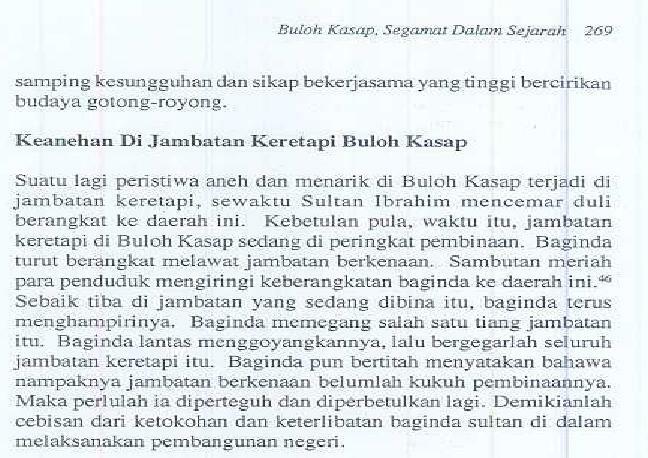 Unlikely, Johore Government managed to pay all their debts in 1930. And, HRH Ibrahim return back their 'favors' by destroying the structure built by British with his barehand. Another occurance happened during the opening of the infamous Parit Sulong Bridge. 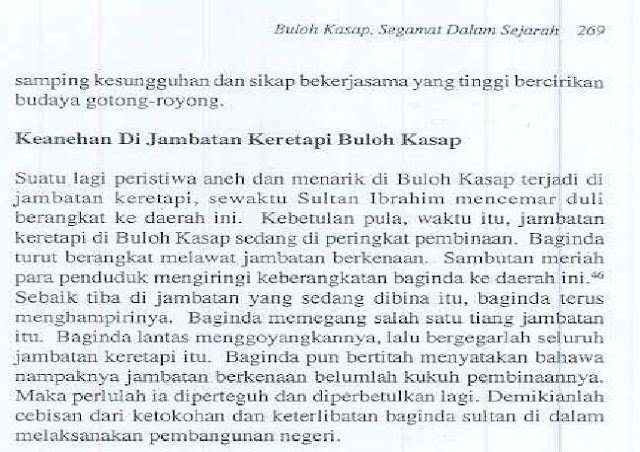 Local engineer from Johore PWD was instructed to built a bridge, the 1st in history. Sceptical as he is, HRH Ibrahim held the bridge with his left hand - and the Bridge trembled!!! The engineer then fainted! This event witnessed by hundreds people, and the story of him shaking the bridges still live on.